Group 5 comprises three teams who don’t seem quite as good as they were when they qualified: the Honduran 2014 Clausura champ, Olimpia, has shipped out several of its bigger names since securing a CCL berth; the MLS 2013 Western Conference winner, Portland, has probably got to win six or seven of its last 13 games just make the 2014 playoffs; and the Guyana Football Federation National Super League title holder for 2012-13, Alpha United, has been having problems with rain. It isn’t unusual for a team’s reputation to sag between CCL qualification and the tournament itself: this year’s Group 3 has similar issues; one might argue Group 1 is also in the same boat. 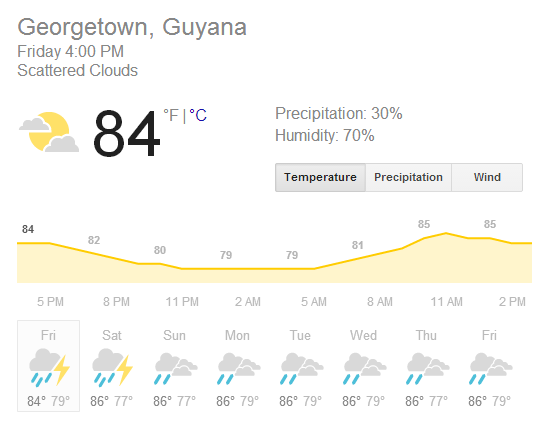 Let’s nip something in the bud right now: Guyana is a Caribbean country. Yes, it is also a South American country – that is the continent on which it is located. Read a little further down the Wikipedia article and you will note it is English speaking and home to the headquarters of the Caribbean Community (CARICOM) economic bloc. CONMEBOL, the South American football confederation, hasn’t accepted a new member since 1952. The Guyana Football Federation affiliated with CONCACAF in 1961, the same year as USSF: i.e. the year CONCACAF was invented. This author has no great insight into Guyanese culture or history, but Guyana claims its first President, Arthur Chung, as the first ethnically Chinese head of state in a non-Asian country. And its sixth President, Janet Jagan, was the first female Jewish head of state outside Israel. Perhaps being a Caribbean country on the South American mainland lends itself to a greater ability to navigate the complexities of personal, ethnic and national identity. Guyana belongs in CONCACAF. But Alpha United’s second appearance in CCL may be limited to furthering understanding of the geo-political nuances of the Caribbean. Guyanese soccer isn’t in great shape at the moment. The national team hasn’t played a match since 2012. Alpha’s presence in this tournament has a lot more to with Trinidad than Guyana. 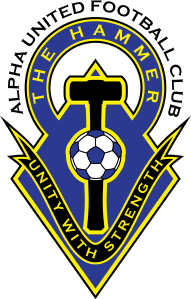 This year’s Caribbean Football Union Club Championship was the vehicle for The Hammer’s return to CCL. Back in 2011, Alpha made it to CCL by the same route, edging Trinidad’s Defence Force on penalties. But the CFU tournament final round was held in Guyana that year – so Alpha at least had home advantage. The 2014 CFU Club Championship saw Alpha competing in a three-team group in Jamaica, against Defence Force (again) and hosts Harbour View. Three goals scored and none conceded brought two wins and a berth in CCL 2014-15. The team’s success was surprising: both the Jamaican and Trinidadian leagues have some right to consider themselves the strongest in the Caribbean. But Alpha’s squad included ten players with experience in the TT Pro League, and coach Wayne Dover has long been closely associated with Caledonia AIA’s manager (and former Guyana national team head coach) Jamaal Shabazz. The Caledonia connection was in full effect at the CFU tournament: nine of Alpha’s players had once played for the Trinidadian club. If the same relationship can be leveraged for CCL, the squad will at least have the benefit of having played a higher level of soccer than is typically available in the Guyanese domestic program. Throw in the occasionally severe effects of Guyana’s rainy season, and Alpha could prove a nuisance to complacent or weary visitors. But The Hammer’s resources are limited. It was bounced out of the 2011-12 tournament by Herediano. The aggregate score was 10-2. Still, the evidence for Alpha’s possible status as Group 5 troublemakers lies in the second leg of that preliminary round series. The Costa Ricans won the first leg 8-0 at home; in Guyana, however, they needed two goals in the last 12 minutes to tie the game. Alpha will be prepared as best possible for a team in preseason, lacking adequate training facilities, and allegedly “30% better” according to the wonderfully crafted vagaries of its club president. But if it can bloody the nose of one its group stage opponents and exit the tournament with a point or two, it will have outperformed expectations. 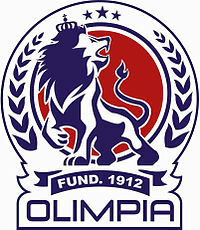 Olimpia, on the other hand, is a team that ought to be targeting the quarterfinals. The club came unstuck last year when it lost its home fixture to Sporting Kansas City. 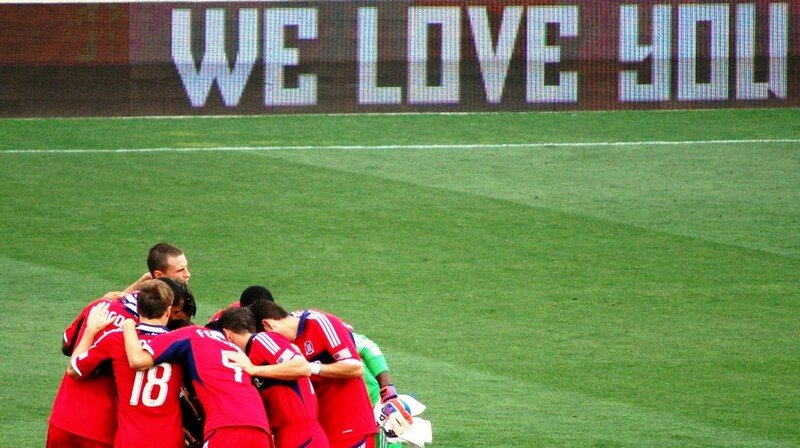 That was an early-season match for the Hondurans, and they were better prepared for the game in KC, which was drawn 0-0. Los Leones have featured in every edition of CCL, but only made it to the quarterfinals once – in 2010-11, when they beat Toluca into second place in their group. Part of the problem is Olimpia has a tendency to lose its better players in the off-season. And CCL rolls around a little too quickly for the replacements to settle. Last year, Juan Carlos García and Alex López were gone before CCL kicked off. This year’s exodus includes Brayan Beckeles, Luis Garrido and Roger Rojas: all Honduran internationals, and a defender, midfielder and forward respectively. Further pressure on the squad arrived in the shape of a season-ending injury to veteran defender Johnny Palacios during the club’s first training sessions after its summer break. The team still has extraordinary goalkeeping depth. Noel Valladares and Donis Escober were the starting and backup ‘keepers for Los Catrachos at this year’s World Cup. There hasn’t yet been major transfer activity to plug the apparent gaps in the lineup, though Honduran international Rony Martinez is reportedly mulling a transfer to Los Leones. Portland Timbers are justifiably favorites in this group. The team has struggled in MLS, but recent form suggests it may be close to something like its best. Also, Caleb Porter’s preference for a high-tempo game is exactly the sort of workout the other teams in this group – neither having had great opportunity to build match fitness – won’t enjoy. Further, the struggles of the 2014 season have forced Porter to strengthen and rotate his squad more than he might have predicted for this year. The result is a roster with some good players in need of minutes. If the Timbers started their bench from the recent league win over Montreal – Andrew Weber, Norberto Paparatto, Jorge Villafana, Rodney Wallace, Ben Zemanski, Kalif Alhassan, and Fanendo Adi – it would be the spine of a pretty good team by the standards of this CCL group. 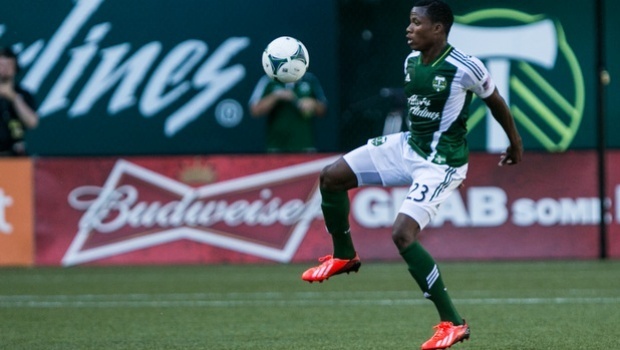 Despite the strength in the Timbers squad, this group does have considerable upset potential. Portland’s middling MLS season means it needs to treat pretty much every game it plays in August as a cup final. Back-to-back wins over Colorado and Montreal were achieved with a frenzied, all-or-nothing, late assault on their opponents that takes considerable emotional and physical energy to sustain. If Porter can coax the same level of intensity out of his reserves (since it is to be assumed the Timbers’ core starters will simply be too exhausted for CCL) for a wet Tuesday in Guyana, he ought to be considered for another MLS Coach of the Year award. Guyana and Honduras are a long way from Oregon. That cuts both ways, of course, and the Timbers’ path to the quarterfinals relies on picking up six points in its home games in September. But the schedule would appear to favor Olimpia. The Hondurans play both their games against Alpha United in August, which at least means they get to face their weakest opponent when they are at their least prepared. The Timbers’ September CCL home stand is part of a three-games-in-a-week run book-ended by trips to Colorado and Toronto. And the last game of the group sees Olimpia host Portland in Honduras. 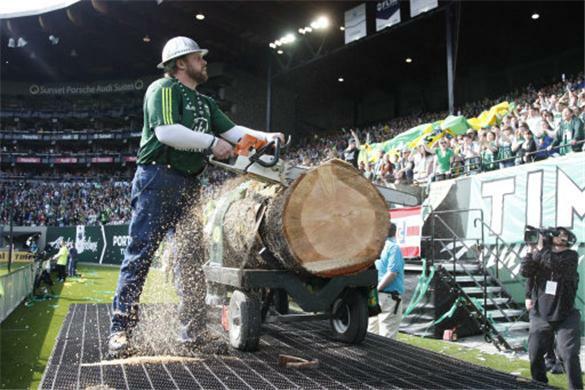 The match sits between the Timbers last two games of the regular season: a time when MLS teams are traditionally focused more on playoffs than CCL. If Portland is still battling for a playoff place in October – as is likely – the journey to Central America may seem more a nuisance than an adventure. The task for the Timbers therefore is to try to put sufficient points or goal difference between themselves and Olimpia to render the October game irrelevant. They don’t have to do it alone, of course: they might get some assistance from The Hammer. Grenadian international forward Kithson “Bully” Bain signed for Caledonia AIA in September 2013, and played a few CCL games for the Trinidadian club. So it was a surprise to see him show up on Alpha United’s roster for the CFU Club Championship in March 2014, not least because Caledonia was also competing in it, albeit in a different group. He scored in both The Hammer’s games in that tournament, and was certainly talking as though he intended to stay with the CCL-bound club back in April. But Richardson seems like he may be a safer bet to have stuck with Alpha since this CCL place was booked. The Guyanese international has a CCL hat-trick to his name – he was part of the Joe Public team that overwhelmed New England Revolution in the 2008-09 tournament. He parlayed his work against the Revs into a stint in the US, including a very brief spell in MLS with Colorado. This spring there was briefly a notion that Manchester City was pondering a move for Quioto, a 22-year-old forward who couldn’t get a goal in Poland’s first division in the 2012-13 season, and has been a solid performer in the Honduran top flight since returning from Europe. This was unexpected news: Quioto is a rising, but not yet entirely risen, star in his home country. Big clubs cast the net wide, and scouts are supposed to be able to find the good players stuck in bad situations. Maybe that is what happened to Quioto in Poland. 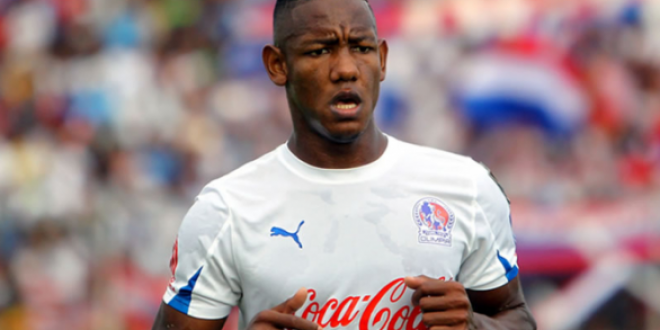 Quioto and teammate, Anthony Lozano, can hope to be in the conversation for Los Catrachos‘ next World Cup qualification cycle. This CCL could be the chance to get a sneak preview. Not much has been heard of Powell since he tried to obliterate Columbus Crew’s Chad Barson back in May. He’s a young full back of potential importance to Jamaica’s efforts to build a squad capable of not finishing last in the next CONCACAF Hexagonal. If Caleb Porter has to lean on his reserves to get the Timbers through this group, Powell has hopefully served sufficient penance to get a run and try to work his way back into the first team. Want more of OTF’s CONCACAF Champions League previews? Austin Fido has never been to Guyana, but he has some experience of rain. Follow him @canetop.